7 days tour, from Marrakech crossing the High Atlas, the Dades gorges, the oasis of the Draa valley you reach the great dunes of Erg Chigaga. 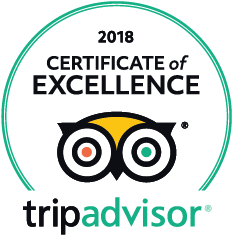 After a day of trekking with dromedaries in the desert we continue the tour to the Atlantic Ocean and Essaouira and finally we return to Marrakech. An individualized, private and comfortable off-road tour combined with a day of trekking in the Erg Chigaga desert. 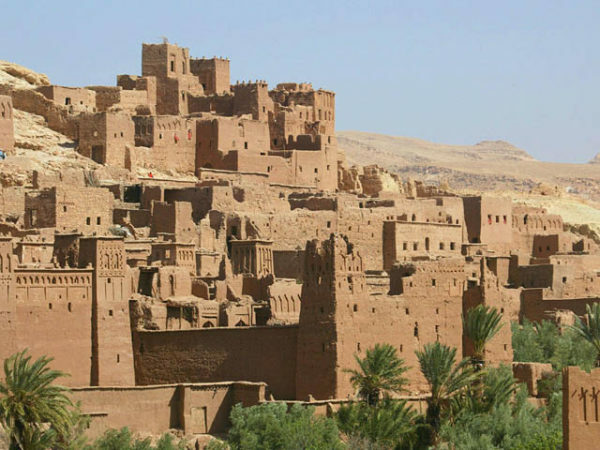 Experience the mountains of the High Atlas, the Berber villages with stone and mud brick houses and the valley of 1000 Kasbah with typical mud buildings. 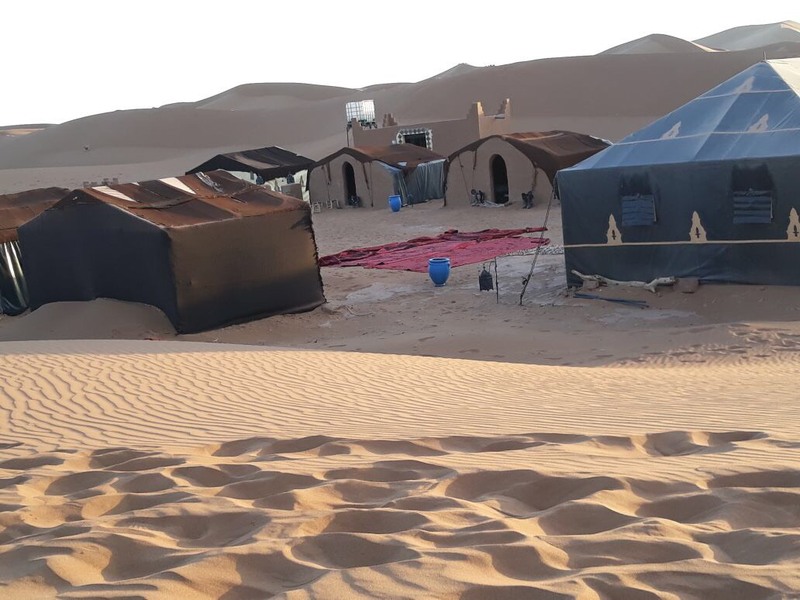 From the magnificent Dades and Todra gorges you will reach the oasis of the Draa Valley with millions of date palms and the fantastic desert landscape of the Erg Chigaga dunes. Enjoy the nomadic hospitality with a day of trekking with dromedaries in the desert and the thrill of 2 nights in the comfortable tented camp under the stars of the immense sky in the dunes of Erg Chigaga. 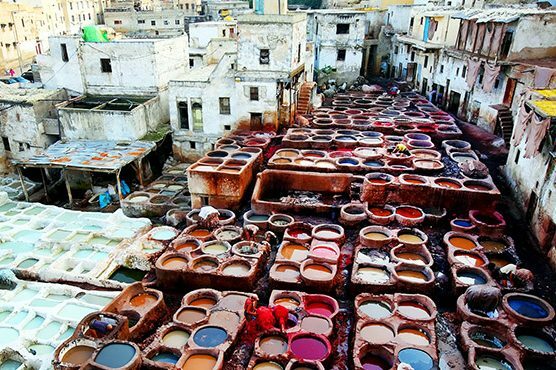 Afterwards the tour will take you to the Atlantic Ocean and the pretty towns of Taroudant and Essaouira and will end in Marrakech. After breakfast in the hotel, we continue on our journey to the spectacular Todra gorge. 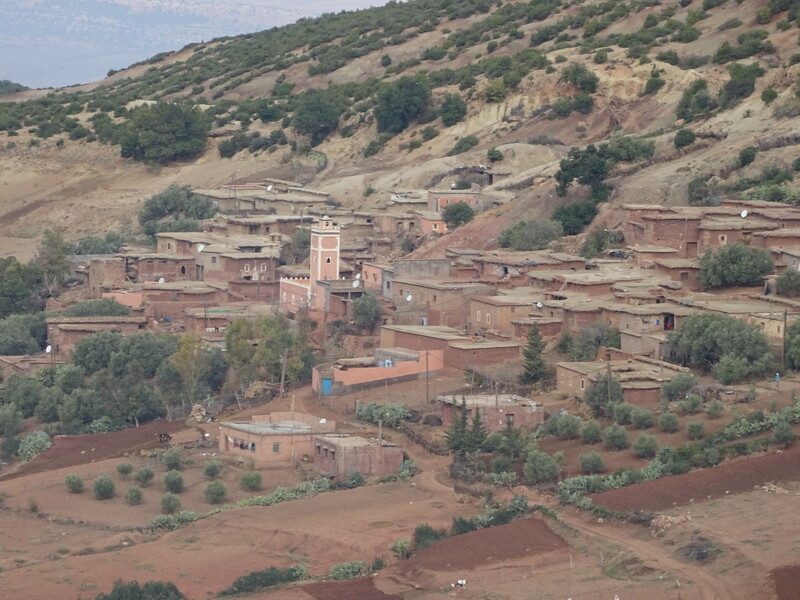 The road passes through Tinerhir, set amidst green palms, and yellow Berber villages, until we start to see high walls of pink and grey rock stand out against the sky. 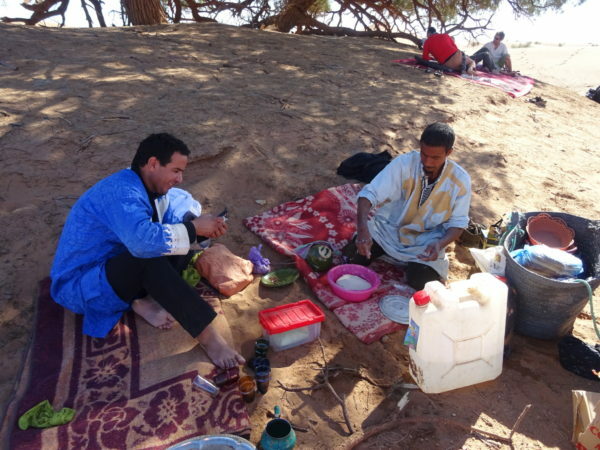 After a walk through the gorge, we resume our journey to the Draa Valley. 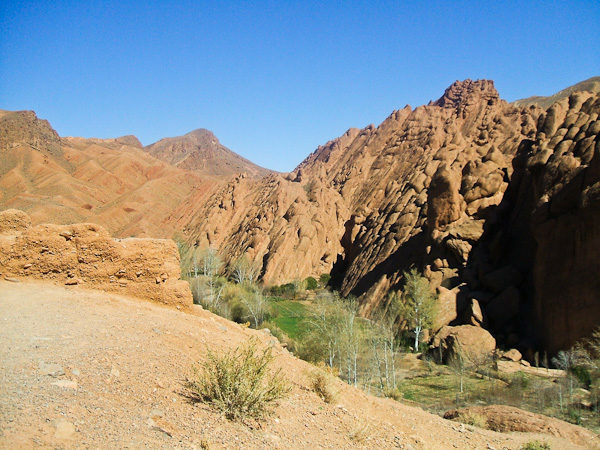 The waters running down from the High Atlas have formed a long oasis which runs from Ouarzazate to M’Hamid. 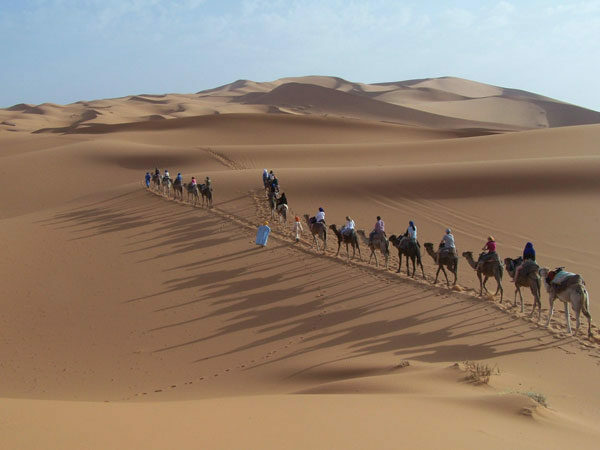 The most luxuriant part, with millions of date palms, is located between Agdz and Zagora. The dates of Zagora are of particularly high quality and can be bought anywhere in the area during the harvest period from September to December. Whatever you do, make sure you taste this exceptional fruit. We move on to Tamnougalt, dinner and overnight accommodation in a typical riad. 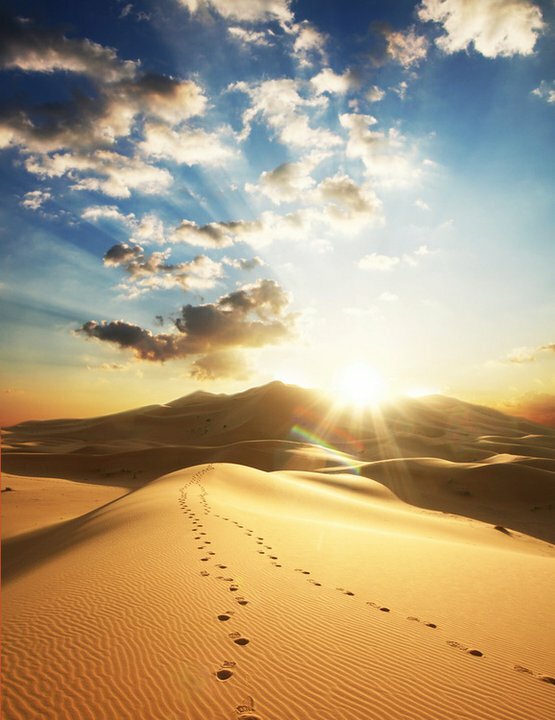 If you sleep in the desert, make sure you get up early to admire the golden light of dawn as it illuminates the sand dunes. 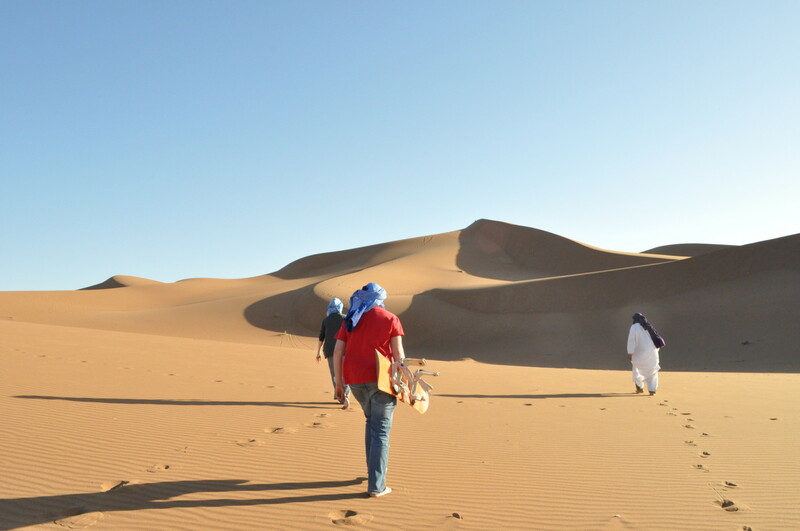 After breakfast, we set out on our trek with the dromedaries to the dunes of Erg Chigaga. After 2 – 3 hours of travelling, we reach a famous tamarind tree, under whose shade the guides cook a lunch of kebabs and fresh bread baked in the sand in the traditional nomad style. 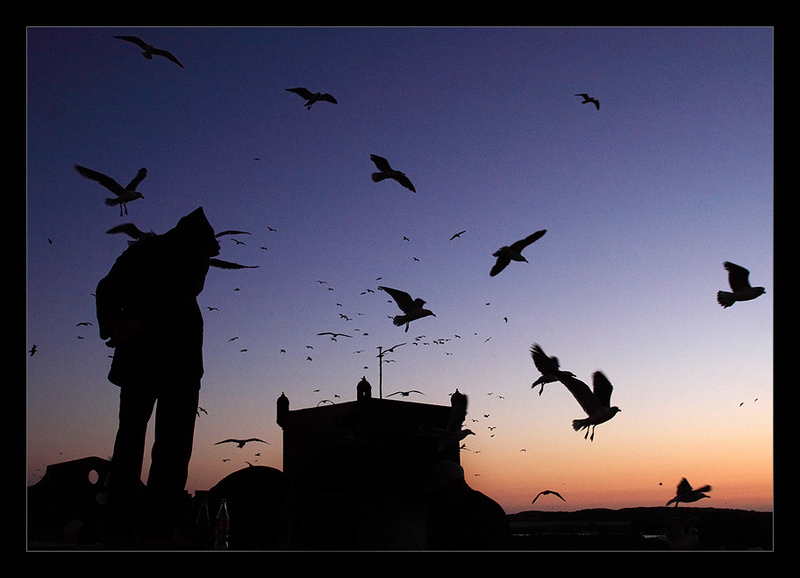 We go back to our camp, where you can admire a breathtaking sunset among the dunes while awaiting dinner. 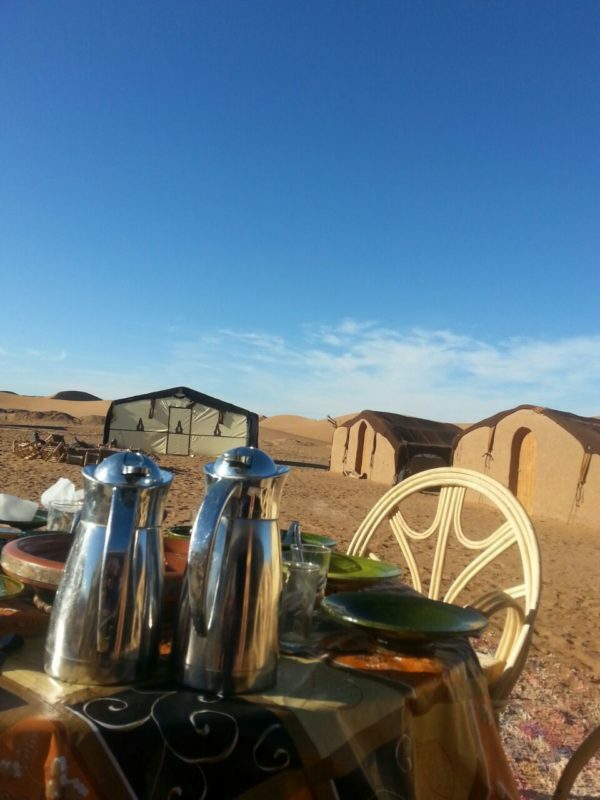 Dinner and overnight accommodation in a Berber tent.